Competent and Experienced UX-Minded IT Solution Specialist with over 11+ years of experience in the areas of Business Analysis, Solution Development, Project Management and Client Relationship Management. An abstract thinker with strong problem solving & technical skills coupled with confident decision making for enabling effective solutions leading to high customer satisfaction and low operational costs. Expert in Architect & Developing enterprise solutions to align Corporate Intranet and Internet goals using the .NET & SharePoint technologies. Well versed with both client side as well server side development technologies. Strong Hands-On experience from both developer as well as IT Professional perspective on SharePoint. Skillful & Passionate in Design & Prototyping UX for Web/ Mobile/Digital Solutions (All Smart services). Proficient in gathering and assessing needs from internal business units and create custom solutions by automating previously manual, time-consuming processes to drive gains in data tracking, workgroup efficiency and profitability. Passionate in Performing research activities to gather information on latest developments in technology for business improvements. Broad experience in managing, supporting & monitoring Web services (Intranet & Internet) in large enterprises. In-depth understanding of various Solution Development methodologies, UX strategy and Design Principles, Enterprise Content Management (ECM) Strategies, Object Oriented Programming Concepts, Information Architecture etc. Having an enthusiastic service oriented mindset with experience in supporting end users (including high level executives). Broad leadership experience throughout Solution Development Lifecycle and mentoring junior team members. Experience in close Engagements with Local/International vendors & Consultants. Always up-to-speed on the latest technology trends, best practices, industry news and passionate about all things digital. A Creative thinker with experience in creating and delivering visual prototypes for web and mobile application solutions. Good understanding of relationship between Networks, Active Directory, Databases, IIS, TCP/IP, HTTP, Storage etc. Exposure in Pre-sales activities, Strong customer service orientation, & Vendor management. Analyses functional requirements and develop specifications for new information systems. Assist in defining and enforcing SharePoint Governance Policies, Enterprise Content Management and Document Management strategies. Integration of SharePoint with Oracle HR & Maximo systems. Participates in formal reviews of designs, business and systems requirements. UAE National development activities (CAMS IT academy training). Responsible for defining backup & security activities of SharePoint Farm. Close Engagements with Local/International vendors, Consultants & various Business unit. Evaluation & recommendation of various new technologies. Project Management of various application projects. Trouble shooting of SharePoint solutions as part of second level support. Responsible for providing enterprise level second tier application technical support for solutions. Close engagements with ADCOs IT security & Datacenter team as part of securing and hardening SharePoint Internet, Intranet & Extranet farms. Subject Matter Expert in SharePoint technology. Involved in various studies to promote SharePoint technology in media industry. Conducted roadshows for & marketing activities MBC employees in coordination with Microsoft team as part of promoting SharePoint in MBC. UX/UI Designing & Prototyping of Web solutions. Acted as the customer advocate and liaison for product management and development. Participated in product marketing activities (Microsoft-led, Partner-led and Industry Events- GITEX Dubai). 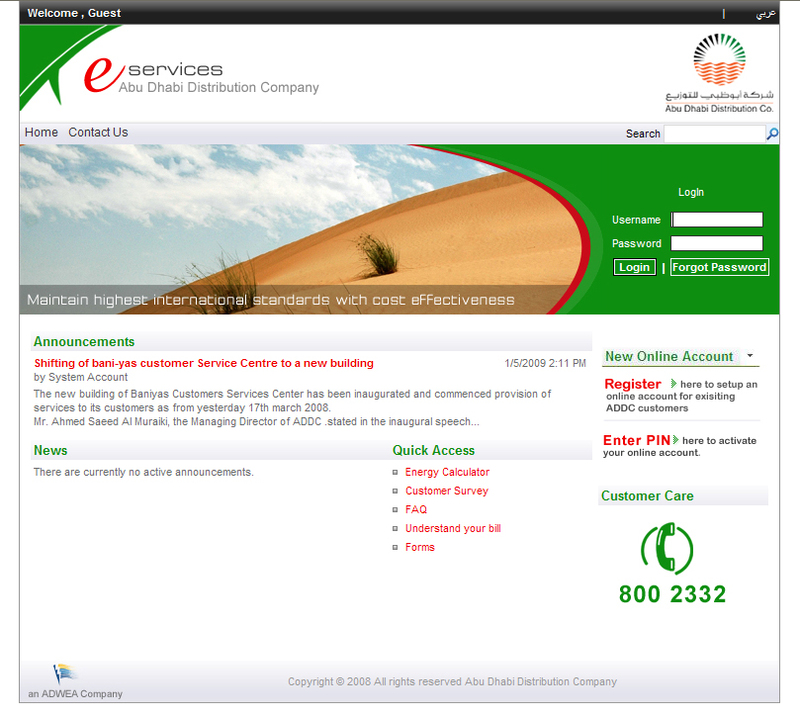 Online utility bill payment system for Abu Dhabi water and electricity Authority. Implementation of SharePoint Portals for ENOC group of companies. Presales consultation of Sharepoint/.NET solutions for various external clients like Abu Dhabi Water & Electricity Authority, TDIC – Tourism Development & Investment Company, Al Ain Distribution Company. SharePoint 2013 Ignite training conducted by Microsoft. Acquired Hands on SharePoint 2010 development training by Late Patrick Tisseghem (U2U) conducted by Microsoft Dubai. Advanced Splunk Search & Reporting, App Development training conducted by Splunk UK. Vendor and Contracts Management by Focus International, Abu Dhabi. Participated in H2S awareness & HSE trainings conducted by ADCO HSE Team. Received Award for best project in 2012 for ADCO HR Employee documents digitalization project (e-Filer). Received Award for developing ADCO’s corporate intranet (ADCOnet) in 2011 using SharePoint platform. Organized various Indian Film Festivals in Abu Dhabi with support of Indian Film Society & Embassy of India Abu Dhabi. 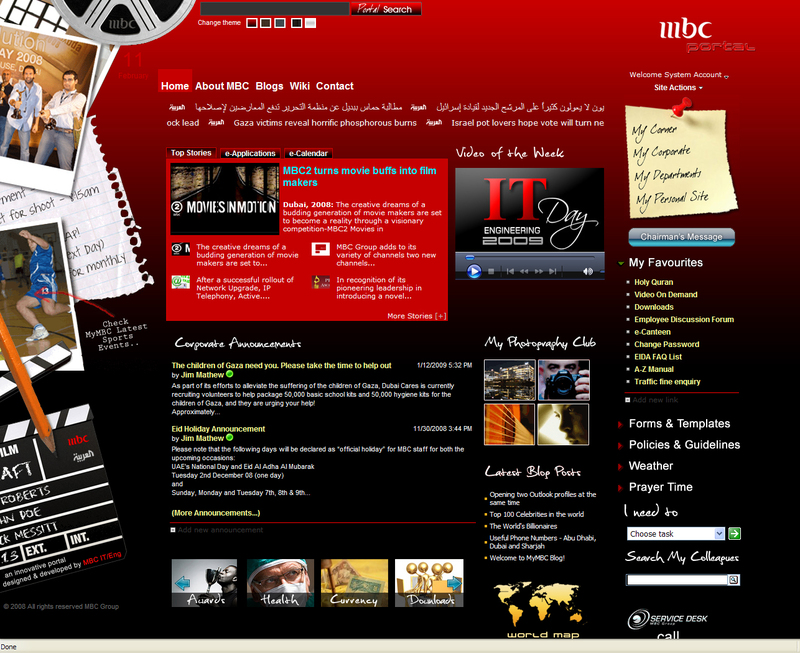 Organized various Cultural & Technical activities in MBC (MBC IT day in 2008). Participated in District, State, and University level Basketball tournaments. My name is Harry Dougherty; I’m a recruiter and I just found your profile here online. I thought you would be a good person to network with for these 2 positions below I’m trying to fill. 2. Oracle CC&B Functional Designer – Rate Design and Configuration Consultant. 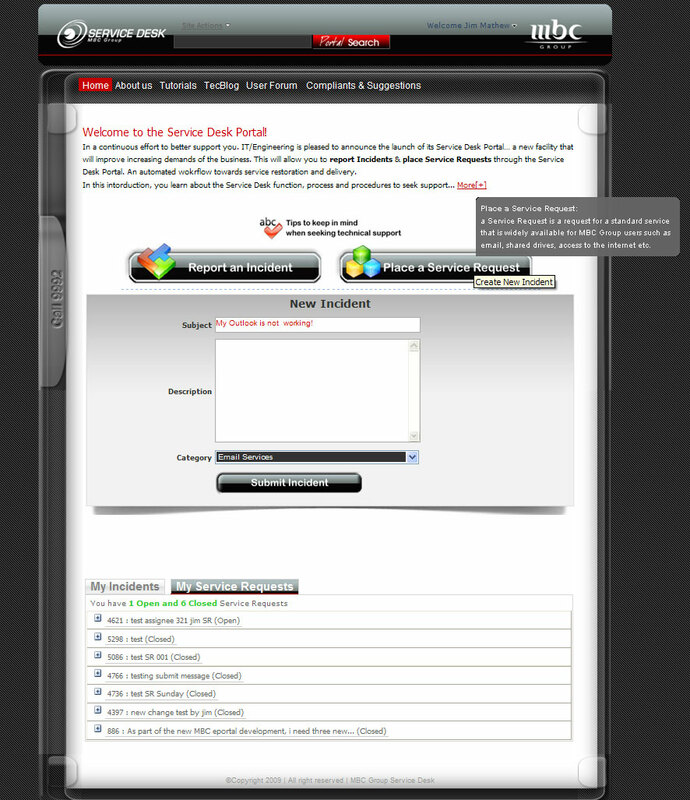 Specific experience in Oracle v2.2 rate design and configuration. I was wondering if you might be able to offer advice. I work for a company and we use CA Unicenter ServiceDesk, and I share your views on it being very unusable for users, and have also been looking at integrating it with Sharepoint (our company intranet). I was wondering if the work you have done with the integration would be acquireable (free/fee) for us to use, rather than develop our own solution in house. Obviously this is a long shot, however I thought it would be worth an email. i would like to know, do you providing any personal traing on sharepoint development. Please give me a call at your convenienceto discuss long term opportunity. I’m Faris Al-Muhawis and I am representing Sipchem Company. we would like to arrange a personal Interview with you if you dont mind. kindly send me you contact No. for further communication. Hey thanks for your comment. Currently I am not interested for a job change.If you need any SharePoint help please let me know. Hello Jim… how are you doing? nice work…especially the service desk portal 🙂 where was that? I’m not doing any freelance development at the moment.Thanks for contacting.